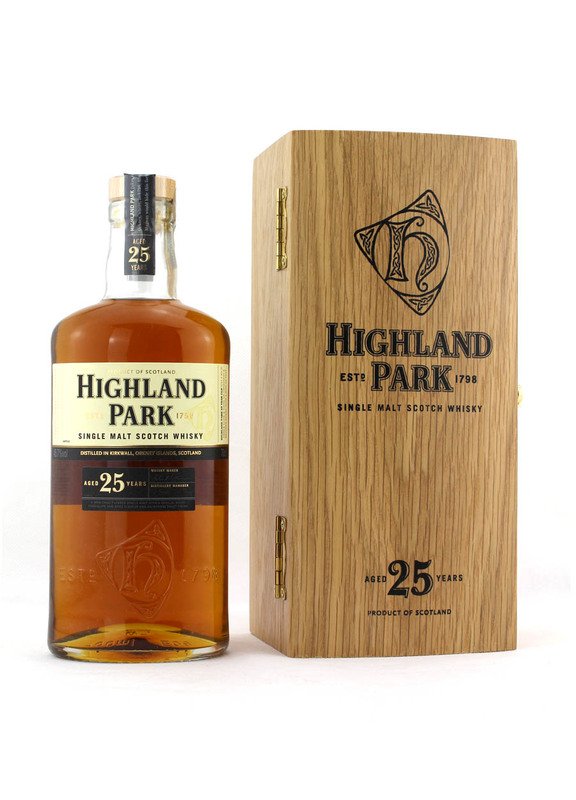 Highland Park 25 Year Old. Natural cask-driven colour, no additives. Gold with warm hints of copper. 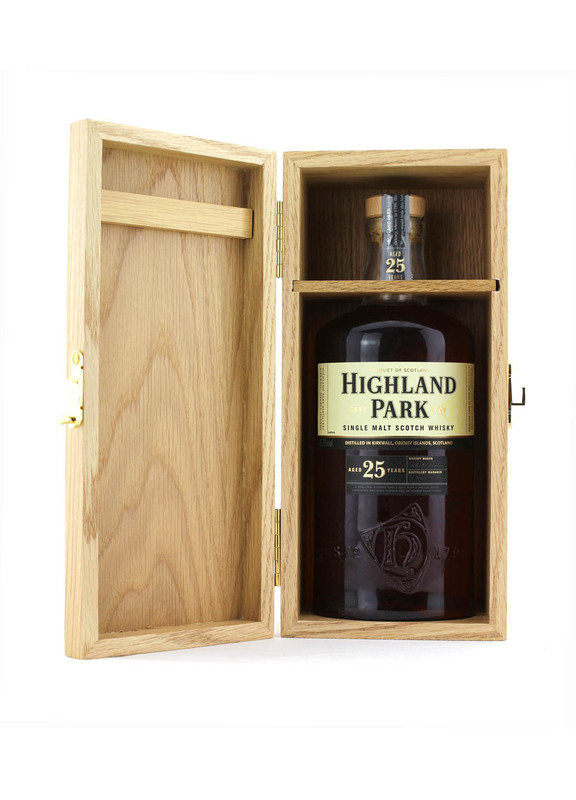 Matured in the finest quality first-fill sherry seasoned European oak casks. Distilled in Kirwall the Orkney Islands. A whisky with impressive depths and a vibrant sweetness. Flavours: Dark chocolate, fudge, heather honey, nutty toffee and dried fruits-from the distillery. 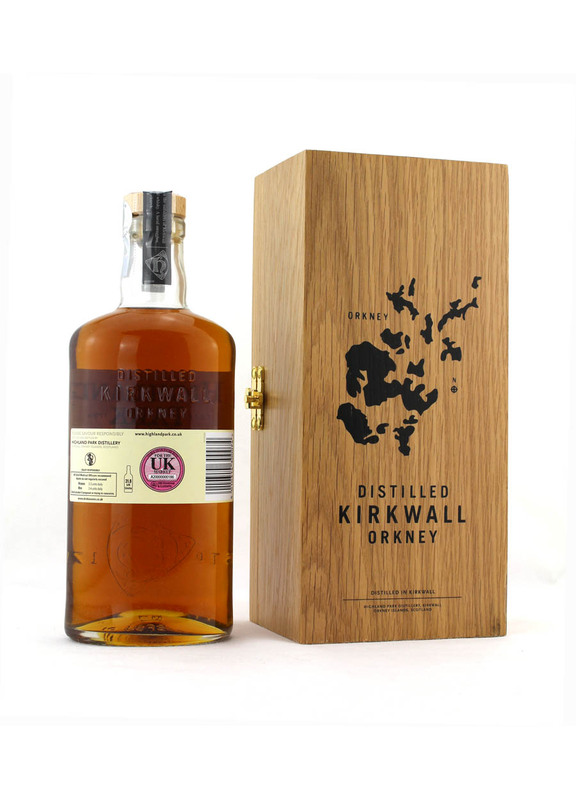 The Distillery can be found in Kirkwall, Orkney. It’s the most northerly whisky distillery in Scotland, half a mile farther north than the Scapa distillery. A lot of effort and pride into making their whisky and continue to maintain the standards they set. It’s one of the few distilleries who still painstakingly turn the malted grain by hand using a shovel every eight hours for six days a week. The distillery is one of the last remaining distilleries in Scotland still turning the floor maltings by hand which can be a costly and laborious process.